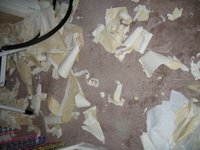 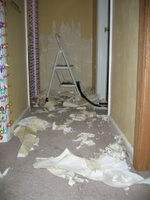 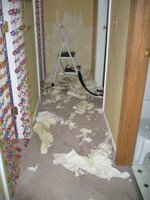 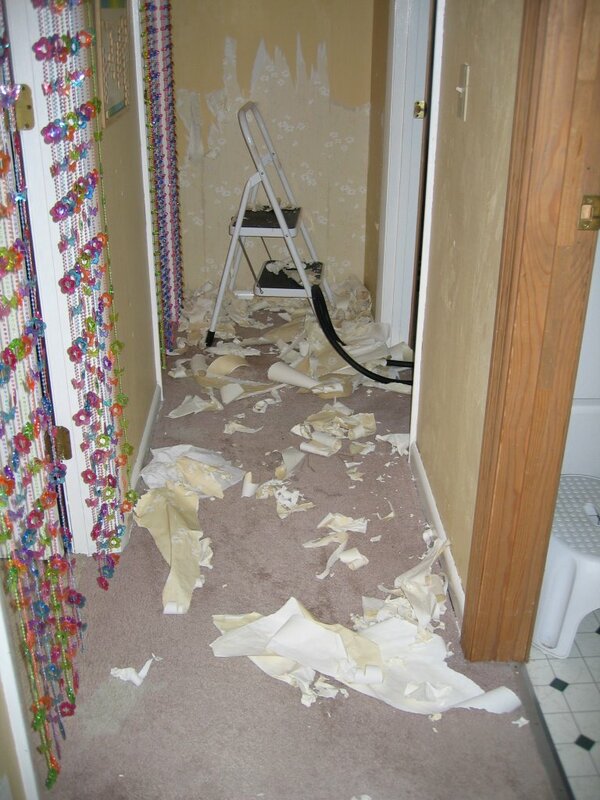 My wife has been busy stripping the wallpaper in our living room and the hallway between our bedrooms. 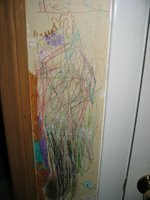 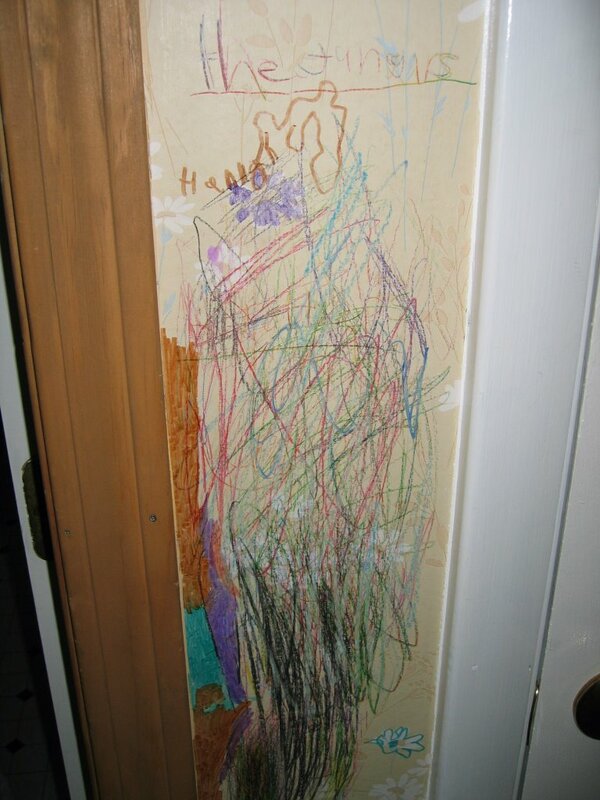 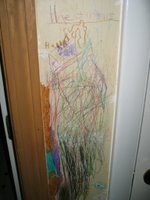 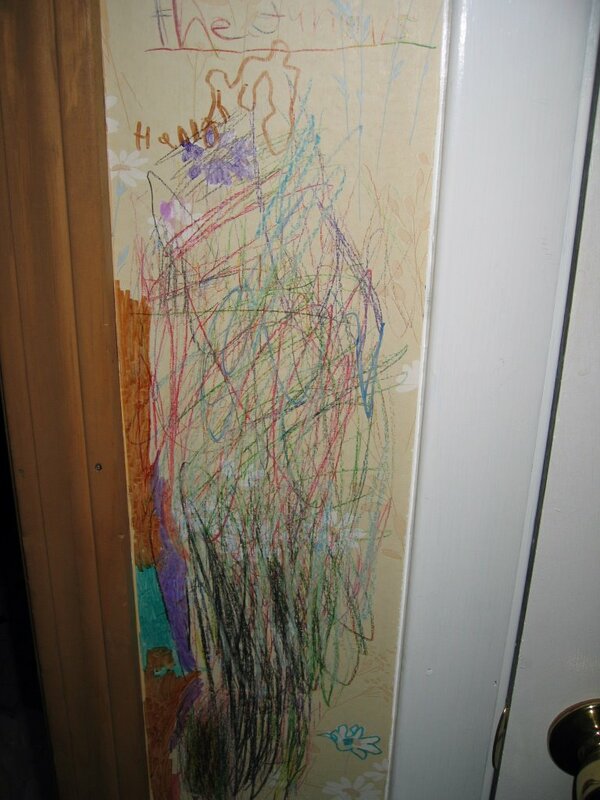 My kids decided to do some art work on a small section of the wall after the wallpaper was stripped. 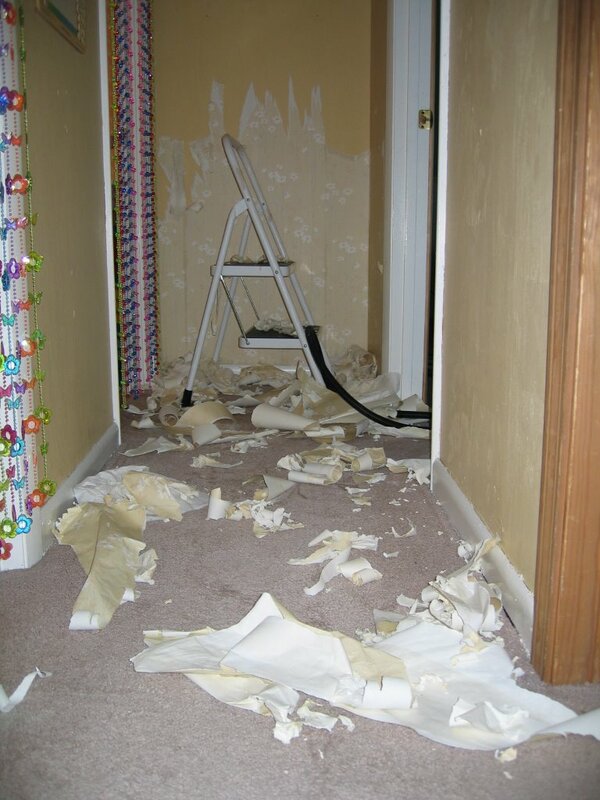 The walls are going to be painted, so it's a no biggie.